Nike's Ken Link shows them off. The Nike Roshe Cortez hasn't been seen in collaboration mode as much as its relative the Nike Roshe LD-1000, which has already donned the fragment stamp a couple of times now. 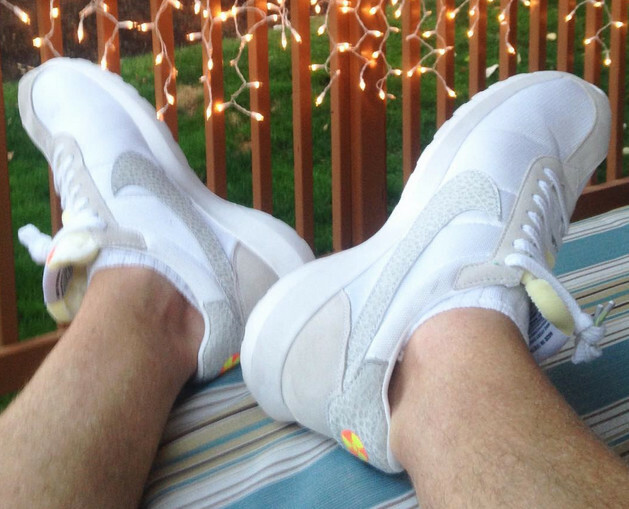 That's not to say that there aren't limited editions of the Nike Roshe Cortez out there though. In fact, this pair just might take the cake as the most limited Nike Roshe style period. The sneaker was recently shown off by Nike designer Ken Link, who sported them and mentioned that they are a Pro Bowl pair. The biohazard sign here is a familiar one for Nike Football – don't forget that Calvin Johnson's sneakers used similar imagery recently. Since the Pro Bowl is well in the past, don't expect a retail release on the "Pro Bowl" Nike Roshe Cortez.